Did you know that the little bird referred to in the expression “a little bird tells me” is a wren and is a pun on the name of the great Christopher Wren? 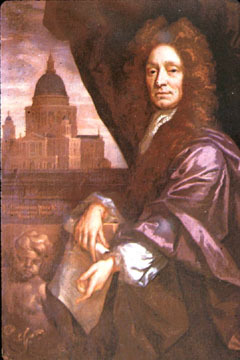 Of course, Pepys was a notorious gossip, and after the Great Fire broke out in 1666, everyone was buying into domes and Christopher Wren cleaned up. Incidentally, the graveyard attached to the lovely Wren church of St Magnus Bonus in Cheapside is widely believed to be the site of the original mother’s grave on which financiers of great probity used to swear when they launched a new package of false information. In the old days, business was conducted in the coffee houses, and figures such as Dr Samuel Johnson engaged regularly in market-sensitive tittle-tattle. It is not really so different today. Now the mood of the City is assessed in the queues for takeaway coffee in Starbucks. Indeed the level of jibbering anxiety in the City is measured scientifically on the Starbucks Sachet Index, or SSI. The underlying principle is that, as dealers become more anxious, they furtively pocket more extra sachets of sugar. In normal times of mild paranoia the average number of extra sachets pocketed is about seven. During the worst moments of 2008 it hovered around 17 and even reached a record-breaking 19 at one point. The Bank of England was poised to bail Starbucks out with two million tons of sugar. Before the Big Fright in 1986, when regulations were suddenly eased to allow financial institutions to earn vast sums and also reach even higher levels of trepidation and euphoria, the City was run on old-fashioned gentlemanly lines. In those days it was all done by the Fibbers and the Jitterers. The Fibbers, easily identified by their plausible manner and the top hats they wore, would gather at street corners near the Stock Exchange and tell their spine-chilling tales to Jitterers who would then run wild-eyed and whimpering through the narrow streets. The Great Fright and huge advances in electronic communication now mean that when somebody in London taps the side of his nose knowingly, almost instantly a person in Singapore, looking at his computer screen, will fall off his swivel chair and alert New York to the impending catastrophe, and in Tokyo they will be stuffing fistfuls of Starbucks sugar sachets into their pockets. Some woman in the bourse, in Paris, begins a sentence with the words “It’s probably nothing” and two minutes later someone is shaking the head of the US Federal Reserve Bank by the shoulder to wake him and get him to deal with an international meltdown. London still holds its pre-eminent position in the increasingly competitive international rumour trade, and the London-based Implausibilities Exchange has reached new heights. It is worth noting that it is London institutions which dominate the Chinese Whispers market in the Far East. We now have a flourishing market in rumours. Traders actually buy and sell scare stories. The idea, of course, is to sell tall and buy short. The knack is to get out of rumours at the peak of their preposterousness. I hope this article has helped to reassure readers and shed some light on how international banking works. I got it from a man who heard it on the grapevine. He asked me to keep it under my hat. This entry was posted in Odds & ends and tagged Christopher Wren, rumour mill. Bookmark the permalink. ← Can you lose a key marginal?